There can be many things to do in the world. But very few are as simple or as entertaining as playing real money online slots. These games are a modernisation of the traditional one-armed bandits. This is what the very first slots were called. By the time that they went to the online platform they were called a lot of names. We’re going to look at how to play online slots. A slot machine is a gambling device. It is a game of chance which runs on a machine that generates random combinations on a dial or set of dials. Some of the combinations that are generated will cause the machine to payout to the players. Different combinations give different payouts. The number of combinations that can be formed differs according to the game developer, the number of dials or reels and the pay system being used in the game. Traditionally the slot machines were played by inserting a coin into the machine and then pulling the lever. This would then get the reels spinning. When the reels stop spinning the symbols that appear on the screen are used to form combinations. Combinations form on pre-set lines. Winning combinations on these lines then award pays. This is pretty much the same kind of gameplay to expect when playing internet casino games. The only difference is that you will be playing on your PC or Desktop computer. Find a good, reputable online casino to become a member, if you are not already a patron of an online casino. Deposit real money. Although the games can be played in free mode at many of the top online casinos, playing for real money is more fun and thrilling. Find the game that you want to play. 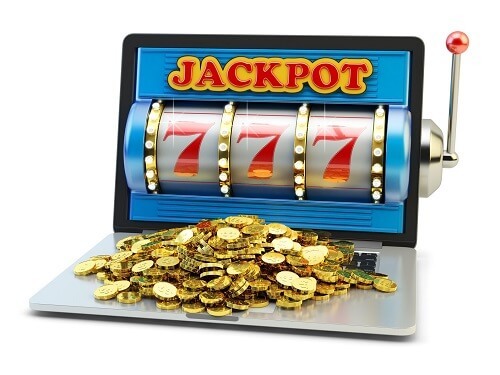 There are many types of online slots to choose from. Each type has a different theme and pay This is where the free games and bonuses become useful. Use them to find the best slot for you. Once you have found a slot select the play option. This will take you to the game where you will be prompted select a coin size and the number of lines. After this press spin and enjoy the amazing real money gaming. Find the best online slots to practice your new skills at our top SA online casinos.